Want to help out in Raja Ampat? Light up Raja Ampat : Donate to Kopernik’s Light Up Warsambin and Light Up Waisai projects. 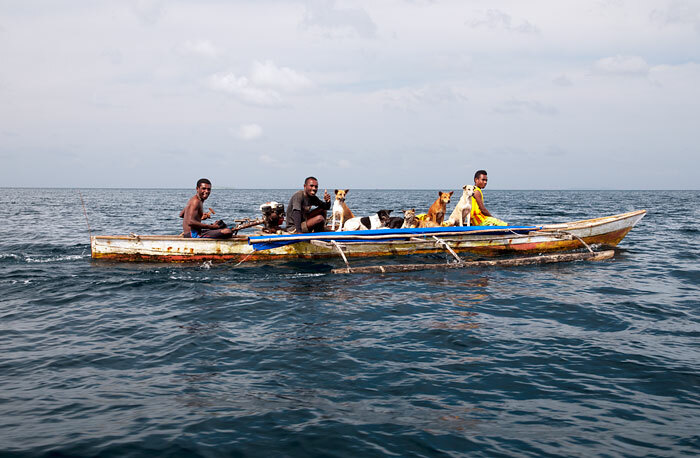 We often get asked what kind of gifts would be most useful for communities and host families in Raja Ampat. Many readers consider taking gifts of pens, pencils and exercise books for distribution in local schools. Those are great and are surely appreciated by the recipients, but those items are quite readily available in Raja Ampat and – unless you’re visiting truly remote villages – you’re unlikely to encounter people lacking the resources to purchase them. 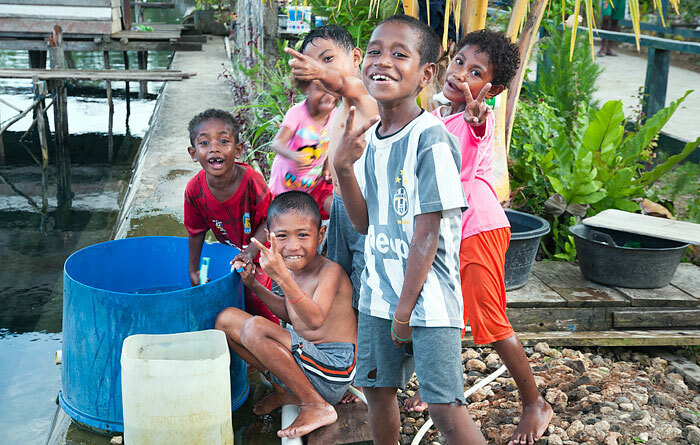 Given their happy demeanour and easy going nature, it’s very easy to overlook the day to day difficulties faced by the people of Raja Ampat. 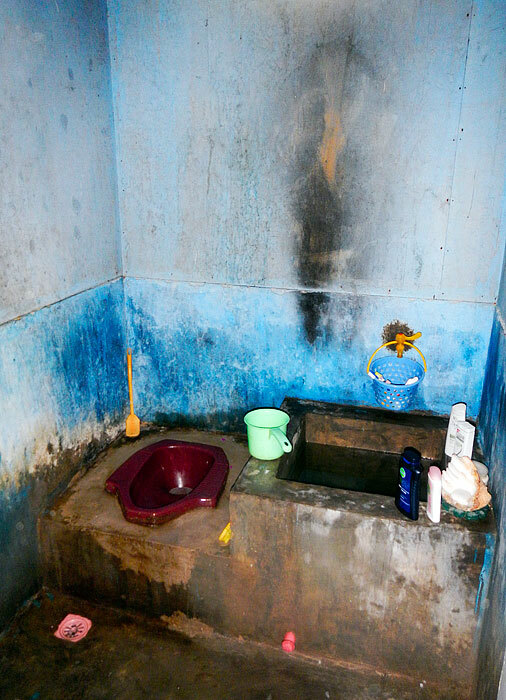 The following two examples are expressed from the point of view of homestay owners, but they are problems faced every day by all the island’s villagers. Most homestays rely on generators to supply electricity. 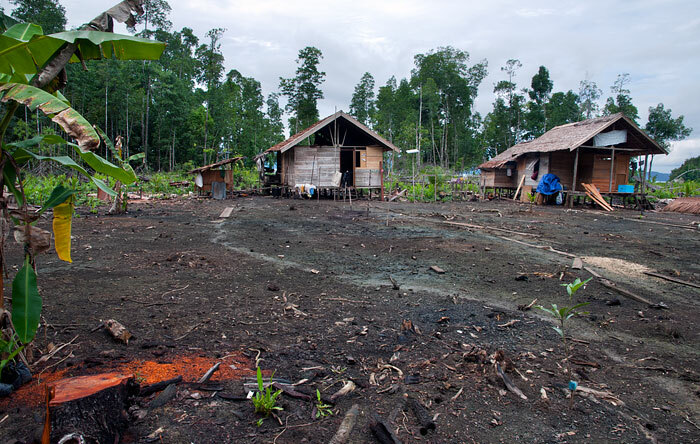 Not only are generators noisy and polluting, but the unreliability of supply and exorbitant cost of fuel in Raja Ampat makes running them a serious financial and logistical burden, even for those who can afford them. (You can read more about local fuel supply issues in this article.) Even in villages with a central diesel generator, night lighting in most people’s homes is provided by kerosene lanterns, the smoke from which causes serious long term health problems. Supplying you with safe boiled drinking water and cooking your meals requires stove fuel. That fuel might be wood collected from local forests or it may be kerosene for stoves, but in both cases substantial time and effort is required to source the fuel, and burning either one in the confines of a kitchen produces toxic smoke responsible for chronic illnesses. 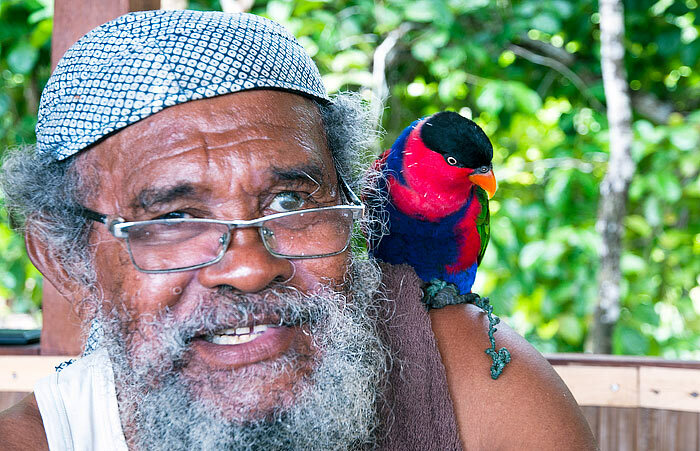 Now there’s a way you can help alleviate these problems and simultaneously contribute to the establishment of new business opportunities for Papuan people in Raja Ampat. Kopernik is an organisation which, balancing a philanthropic and business approach to technology distribution, connects simple life-changing technologies with the people who need them most. 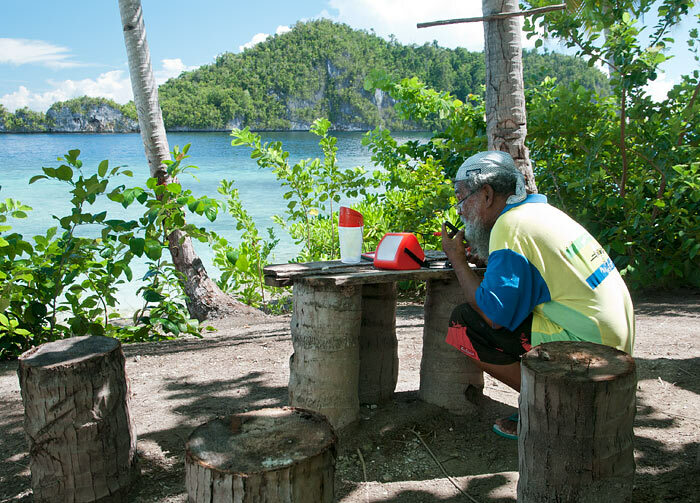 In December 2013 we took a sampling of Kopernik’s solar lighting, water filtering and clean burning biomass stove technologies to Raja Ampat to see if people there would want them. They loved them and wanted to buy them on the spot. Two people in particular, recognising the benefits provided by the technologies – especially the reduced dependency on toxic and costly fuels and vastly improved lighting afforded by the solar solutions – asked about the possibility of becoming local distributors. It was a different story once it got going though. It boiled a pot of water in less than half the time it was taking on the open fires and kept it up for an hour on a mere 600 grams of wood – all with next to no smoke, despite the damp fuel. 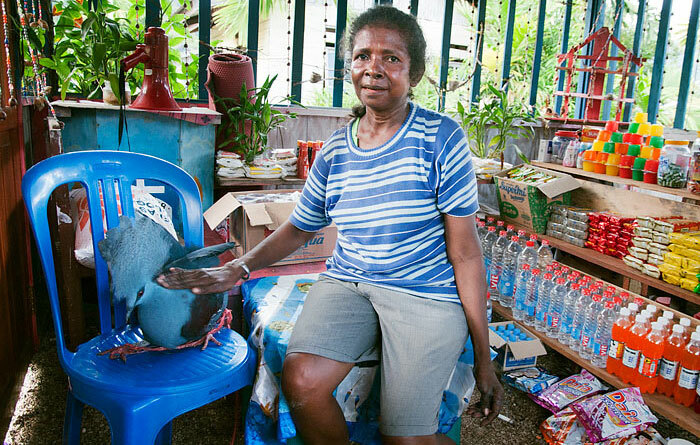 Nene Seret is the founder and head of Dasawisma – the Warsambin village women’s cooperative. The cooperative has built a small store in the village with the aim of directing profits to financing the education of Warsambin’s children. The long term plan is to have some of those children return to Warsambin as the village’s first doctor and teachers. Another aim is the purchase of a community van. No-one in Warsambin owns a car and villagers are dependent on visiting vehicles to offer a lift whenever someone is unable to be taken on the back of a motorbike over the long, unsealed road to Waisai. 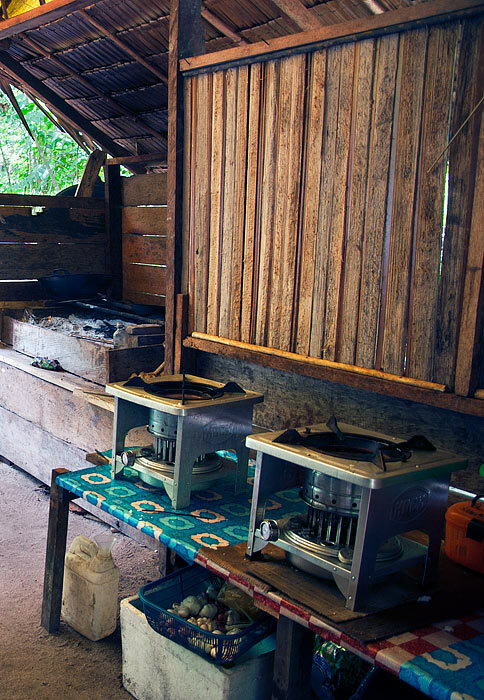 The women’s cooperative will soon become a Kopernik Tech Kiosk and add the profits from the sale of biomass stoves, water filters and solar technologies to their savings toward their goals. Contribute to Kopernik’s Light Up Warsambin project to facilitate the delivery of on-consignment stock, signage and information packs and ongoing business training to the Warsambin ladies’ Dasawisma cooperative. 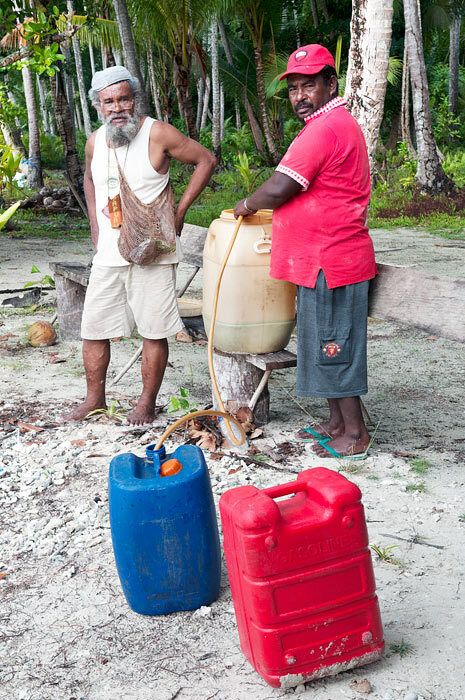 A member of the Raja Ampat Homestay Association, Martin was also much taken with the water filters, pointing out that not only would they save homestay owners a huge amount of time in providing safe drinking water for their guests, but would also eliminate an annoying side effect of boiling – smoke tainted water. 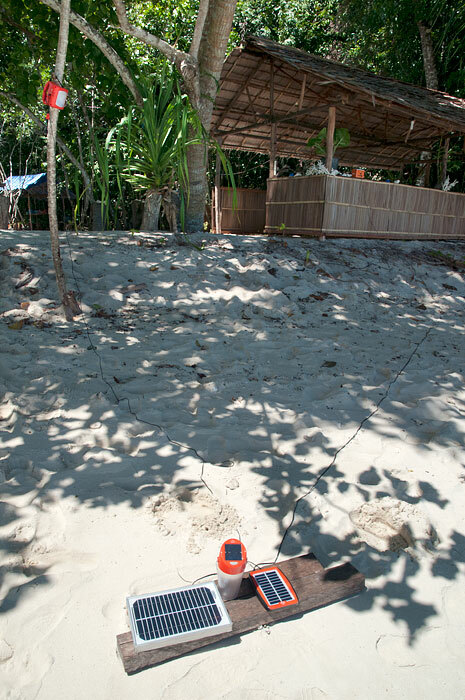 Pak Makusi saw both the need for these technologies in Raja Ampat and a way to distribute them widely in the islands. Before Kopernik’s Tech Kiosk team had even visited Raja Ampat on the scoping mission following our report, Martin had leased a shop in the central market of the Raja Ampat capital Waisai. This central location will enable Pak Makusi’s Tech Kiosk to make the technologies available to all the islands’ villages, members of which regularly visit the capital. 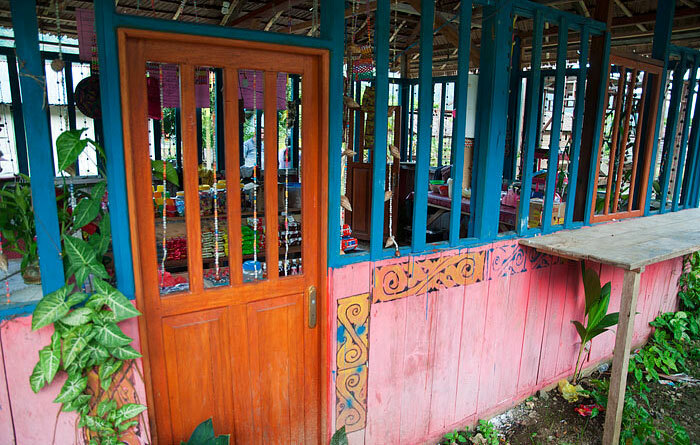 Contribute to Kopernik’s Light Up Waisai project to facilitate the delivery of on-consignment stock, signage and information packs and ongoing business training to Pak Makusi in Waisai. Want more information about Kopernik? Visit Kopernik’s website to learn more about their organisational ethos, the technologies they distribute and their development projects. 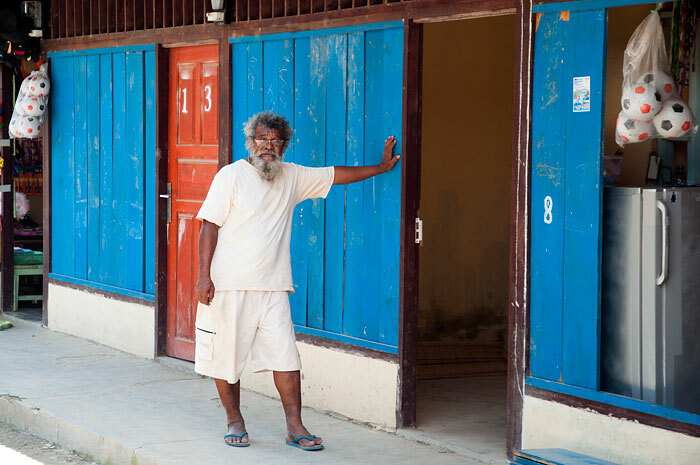 For a behind the scenes look at the work required to pave the way for Raja Ampat’s first Tech Kiosks, be sure to read Putu Monica Christy’s engaging personal account of the meetings and discussions held during Kopernik’s May 2014 scoping mission. Kopernik’s website is also available in Bahasa Indonesia and Japanese – select your preference by clicking the appropriate flag in the top right corner of the site. Light up Raja Ampat: Light up a life! 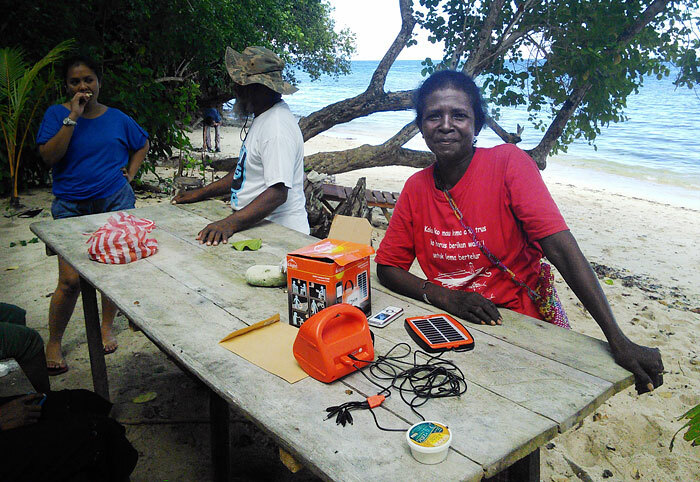 The availability of affordable solar lighting in Raja Ampat is going to make a huge difference to family life in the island communities. The benefits of bright, safe and reliable night lighting will be felt across the generations, from mothers waking to tend infants, to studying school kids and the old and infirm. 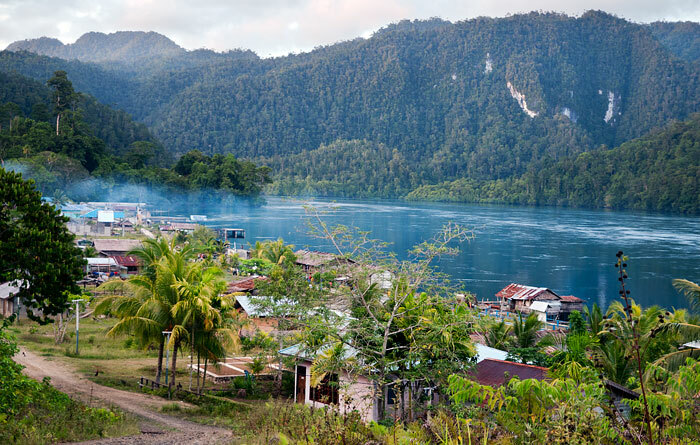 Supporting these projects will also indirectly support the distribution of all the other technologies the people of Raja Ampat have expressed the need for and will help establish new Papuan owned businesses in one of the world’s most beautiful remote locations. Hmmm, is the S 20 a useful light? I cannot image that this small bulp produce enough light to read at night or illuminate a path. If the light is good, I will buy some and leave them at Yenkoranu. Maybe Luc and Els share their experiences. The S20, while is not as bright or versatile as the other options, is fine for reading at night and is the most popular light sold by Kopernik in Indonesia. Yenkoranu might not need them, as they have their own electricity supply, but they certainly make great gifts for the smaller homestays and local families. were can we buy these D.Light S20 & S300 lanterns & Brightbox ? Is this available besides Warsambin, also in Waisai ? or Sorong ? Note: If you have the baggage space, you can buy these items online a lot cheaper than you can in Raja Ampat.